Summer might be one of the times that I work the most during the year. Planning and executing all the new projects for next September and keep old projects going. Here's a W.I.P of what's to come. 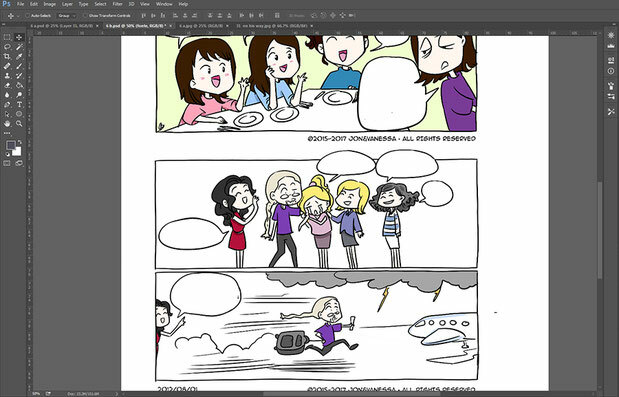 Redrawing, coloring and adding extra new (never published before) cartoons to NotFromBrazil that will be available as a First Volume next September. If you were part of our life in the beginning of our story, you will be definitely a character in the first volume or next. Stay close! Don't miss a thing!